Once you’re married, will rest and relaxation be calling your name? Or is a bit of adventure on the docket? Either way, you deserve a break! Where are you going for your honeymoon? 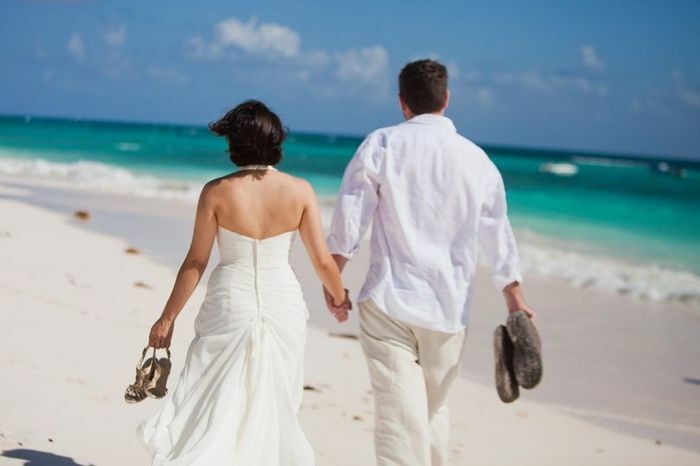 Tell us more about your honeymoon plans in these community conversations: How much time are you taking off work for your wedding and honeymoon?, How many days will you spend on your honeymoon?, and Honeymoon: Now or Later? Our wedding is in Paris on Memorial Day. We will stay in Paris for our honeymoon until the following Sunday. We haven't narrowed down the exact location yet, but it will be in the Appalachian Mountains (in the Fall). We plan to rent a cabin (with hot tub of course), take fly fishing lessons, go on an overnight canoe trip, tour wineries / breweries, go hiking, and enjoy adult beverages & good food without our kids around haha. My husband and I went to Maui Hawaii, it was so beautiful!! We’re going to Indonesia and Vietnam! Getting married in Hawaii and figured we would stay there and kill 2 birds with 1 stone! We definitely plan on doing a few tours/experiences and just enjoying the island and the culture! 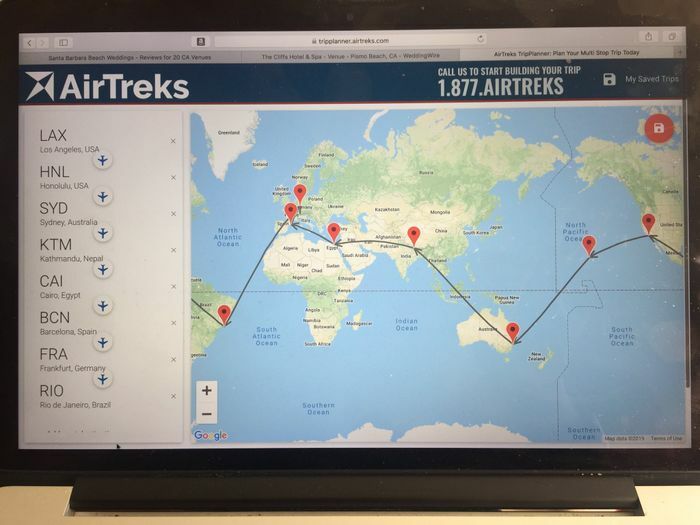 My fiancée mapped a trip around the world. I’m so excited after he showed me the map. It’s the trip of a lifetime! 3 weeks of adventure, with a stop in Germany to have a wedding celebration dinner with his family. We’re going to The west coast, I’m super excited! We are going to Ireland! We don't know when and we haven't started planning yet but its a for-sure thing haha. That is impressive! Im curious on the details of your plan, since without flight/travel youve got about 3 days in each location...Some of those flights are 10+ hours each leg. Did you mean 3 months?? haha. Turks & Caicos. It will be in the off-season (July) but it will still be beautiful. Can't wait! We are going to Panama for 2 weeks. We will be in the mountains for some hiking and relaxation and then we will head to the islands for some adventure mixed with relaxation. The last days will be spent in the city where we can explore and see the canal/surrounding areas. We're going to canoe the boundary waters in Minnesota. Tahiti / Bora Bora and Moorea. I am starting to pack tonight and I am so excited!! Hawaii is a place we visit every year, so we are just there as a stop on the way to Australia. Germany we can visit anytime because his family is there. (Staying is free) So those two stops are shorter, making up for flight times. We are going on adventures in Tokyo Japan!